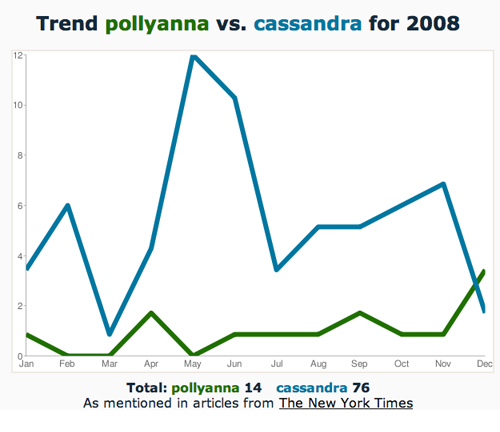 I anxiously await the 2009 NYT Trender tool so we can see how things have changed since 2008, a year in which Cassandra ended on the decline while Pollyanna was on the ascendant. Maybe that’s just due to holiday drinking. @derekg, I certainly hope you plan to update this tool for 2009, because it offers hours of amusement.